Not just another camera app. 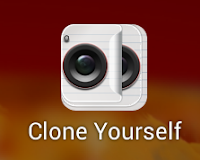 You can really clone yourself. It's that easy. It's available for free and there is a paid version too. Learning languages that simple. I mean that simple. No wonder this app listed in play store's best apps 2013 list. I'm learning French by the way. "Tu es Une fille", that means "you are a girl" in French. Time lapse video is one of the pro camera man thing. 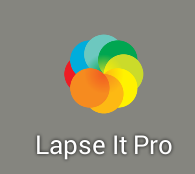 But you can make time lapse videos easily with your smart phone. One con thing, it is a paid app. With augment, 3d models come alive next to you. Easy to use and it will blow your mind. Augmented reality is a greater concept and one of the best thing is we can use it with smart phones. Not just Augment, you can try other Augmented reality apps too. Try Google sky map, it is also worth a wow.